Students love recognition and here at CodeHS we wanted to give teachers a tool for awarding students with custom badges! On CodeHS Pro you can design badges that are perfect for your students and classes. So how do you make your own? You may have already noticed a badge icon next to student names on your section roster. From here, you can click on the icon and you'll be directed to a page where you can "Create a Badge." Once you click on "Create a Badge," you'll see a pop-out for designing a badge. 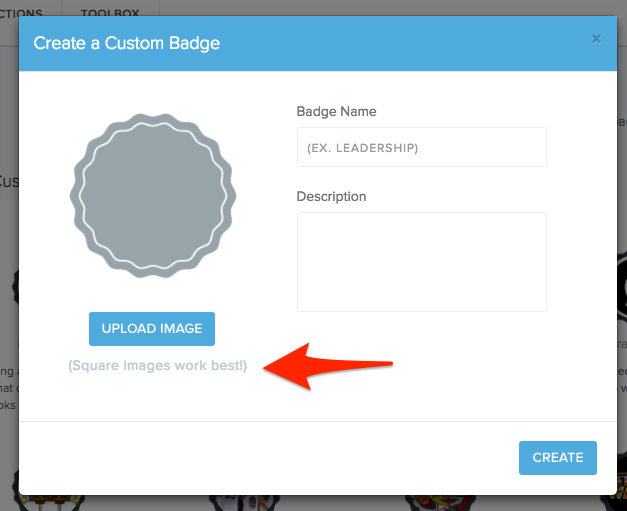 You can upload an image (square images are best), title the badge, and write a short description so your students know what they're being recognized for. 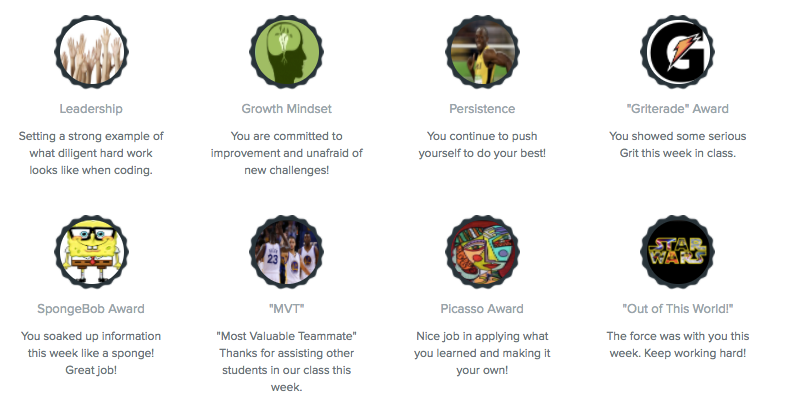 Consider assigning badges based on your school's "Core Values" or growth mindsets. Make posters of the badges for your classroom so you can show off what your students are earning and learning. Celebrate students with a class cheer when a student earns a badge. However you choose to use badges in your classroom we hope they are a great tool for motivating students and building a joyful classroom culture!